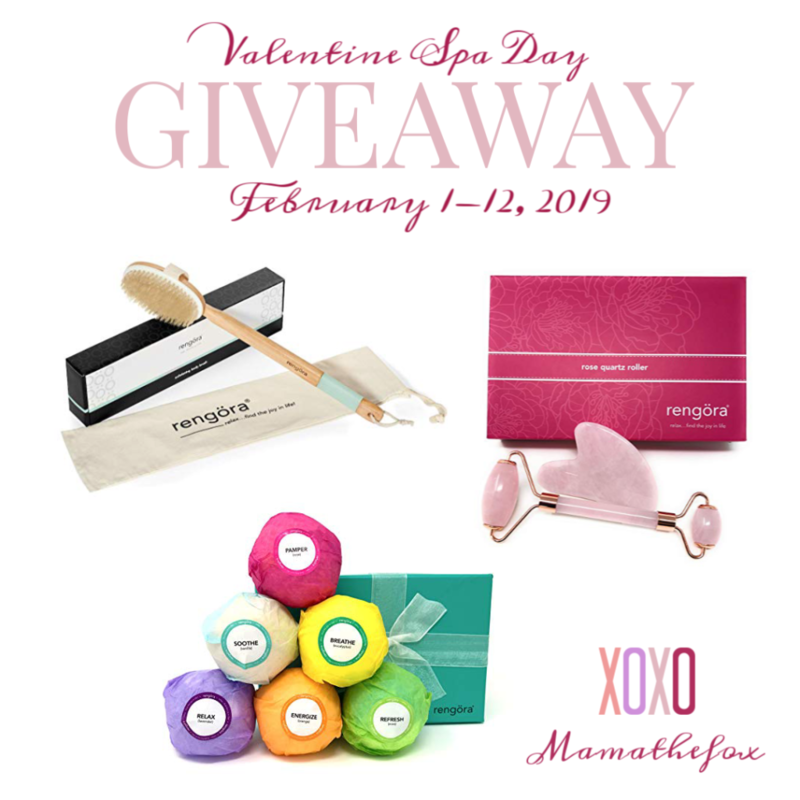 Rengöra — MumbleBee Inc MumbleBee Inc.
To get you excited for this years Valentine’s Day Rengöra is collaborating with MamatheFox in a giveaway to spoil one winner with amazing spa products from their line of affordable home spa items. They offer dry brushes (great for dry skin, removing dead skin, lymphatic drainage, and cellulite treatment), their eye and face rose quarts roller to help stimulate healthy cellular movement, and bath bombs that don’t stain your tub and have to smelling great! Enter for your chance to win a spa package from Rengöra that includes: (1) set of bath bombs, (1) rose quartz face roller and (1) dry brush (as featured in Shape magazine). This package is valued at $63. This luxury line of bath products is designed to sooth and pamper your skin. If you won would you gift it or keep it? Giveaway runs February 1st to the 12th.